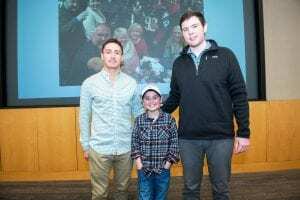 March 18, 2019 | By Fatima V.
​To celebrate National Donor Day on Feb. 14, one of our patients, Evan, got to meet the two donors who saved his life through bone marrow transplantation. 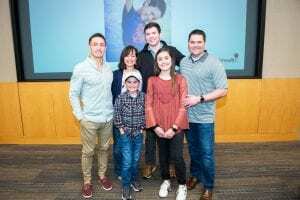 The donors flew from opposite sides of the nation to come to Children’s Medical Center Dallas and meet Evan, surrounded by his care team and family. Evan had leukemia and needed two different bone marrow transplants. Watch the heartwarming video below to see Evan’s reaction as he met his donors for the very first time.